I met the president's son when we were both young. Matthew Hamilton was handsome, polished, and intelligent. I'd never met a guy like him. He promised me that he'd never run for president. I promised that if he did, I'd be by his side. Three terms later, an invitation to join Matthew Hamilton's campaign is the most exhilarating opportunity I've ever experienced. I'm determined to make a difference; he is determined to win. Focused on his goal, Matt is steadfast, ruthless, and disarming. All eyes are on him and his popularity is surging. But soon, the next possible president of the United States is possessing me in more ways than one -- and despite the risks, I'm helpless to resist. Log In to track Katy Evans on eReaderIQ. 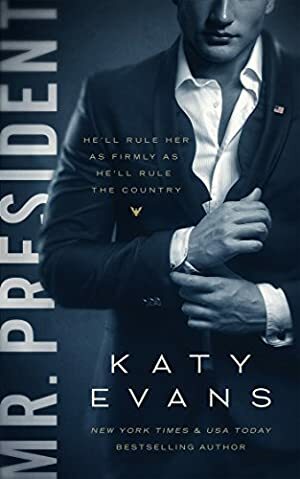 to be notified each time the price drops on any book by Katy Evans. to stop tracking Katy Evans. We started tracking this book on October 8, 2016. This book was £2.99 when we started tracking it. The price of this book has changed 8 times in the past 923 days. The current price of this book is £3.99 last checked 7 hours ago. The lowest price to date was £0.99 last reached on December 4, 2018. The highest price to date was £3.99 last reached on December 20, 2018. This book has been £3.99 2 times since we started tracking it. We last verified the price of this book about 7 hours ago. At that time, the price was £3.99. This price is subject to change. The price displayed on the Amazon.co.uk website at the time of purchase is the price you will pay for this book. Please confirm the price before making any purchases.